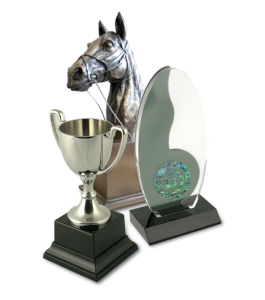 Trophies Of Radstock were launched 30+ years ago by a local Policeman, Bob Jordan, working in his spare time from his garage at home in Radstock. The business was sold to the local cricketing legend Henry Thomas around 1990, while Bob concentrated on his Golf and Bowls and enjoying an occasional glass of Red. We bought the business from Henry in June 2000 and have enjoyed building the substantial client base to what it is today, serving Somerset, Devon, Wiltshire, Gloucestershire and Internationally, including Scotland, Ireland, Wales , France, Australia and South Korea. We have a superbly stocked showroom that needs to be seen to be believed. The Shop is often visited by local kids clubs and schools, who see it as an “Alladins cave”. However, more importantly for us by Trophy buyers and presenters, who want to see and understand the quality of what they are buying to present to their successful recipients. Thus not running the risk of buying from a fancy picture on the Internet which can be misleading as to the quality !! At this point we would mention that we are a family run business and we still strongly feel that “Old Fashioned” values of discussing needs with customers, always give best end results and there are no horrible surprises !!!!! We will of course guide you as to what is decent quality. To give you a feel for the vast selection we have, below are a hand – picked selection of National & International suppliers brochures, chosen by us, not only for their quality of merchandise, but just as important, for the service they provide us and our customers. We do have other suppliers that specialise in other alternative products. If you don’t see what you need, please call us to discuss further.